We all love them ... and we're always seeking the best! Nothing works up an appetite quite like being at the beach. Maybe it’s the salt air and warm breezes, or perhaps it comes from exerting all your energy jumping over waves and building sandcastles — either way, refueling after a day in the sun is crucial for a happy vacation crew. Sometimes, the only thing that will hit the spot is a juicy burger and a cold drink — and these four Daytona Beach burger joints are up for the task. Check out four of the best places to get a burger in Daytona Beach! If you’re hanging out near ONE DAYTONA, you won’t have to look far for a fat, juicy burger. At BUILT Custom Burgers, you can choose from delicious burgers, fries, shakes and more — all perfectly tailored to your specific taste. You start by selecting your premium protein and cheese, then move down the line to pick your perfect toppings. Plus, after you build your personalized burger, you can feel good knowing that your food was made to order with humanely-raised, antibiotic- and hormone-free, vegetarian-fed, 100% natural beef. Not into traditional burgers? Not a problem. All-natural turkey and chicken are also available , as well as vegan veggie burgers made fresh daily from 11 different ingredients! This local hot spot is famous in the area for its show-stopping half-pound burger. A family-owned restaurant and sports bar, Brickyard often makes an appearance on various “Best of Daytona Beach” lists. Come hungry, because the portion size of these burgers won’t leave you longing for a snack! Despite its unassuming exterior, the inside at Brickyard is fully decorated with a racing theme. It’s the perfect place to kick back with a burger and a cold drink while watching the game. Craving a gourmet burger? Look no further, because Piraña Grille in Ormond Beach enjoys a phenomenal reputation for good reason. Piraña Grille proudly serves 21 specialty burgers — so you’ll be able to find the one that’s suited to your taste. Opt for a classic like the Simple Cheese Burger, or go for something slightly more adventurous, like the Hines Ward — it’s an 8-ounce burger topped with bacon and provolone cheese, then topped off with peanut butter! There’s always something delicious to try in this sports pub, and you’ll enjoy it in a laid-back atmosphere full of locals. Plus, Piraña Grille offers a wide selection of craft beers and frequently features live music on the outside stage. Burgers with a side order of entertainment — what could be better? 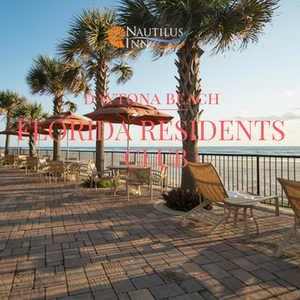 Book your Winter vacation with our Daytona Beach Special Offers! We have to admit, there's no better way to enjoy the World's Most Famous Beach! 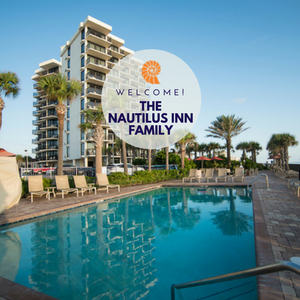 Join the conversation and"Like" Nautilus Inn on Facebook!